Disclamer: This post contains affiliate links. 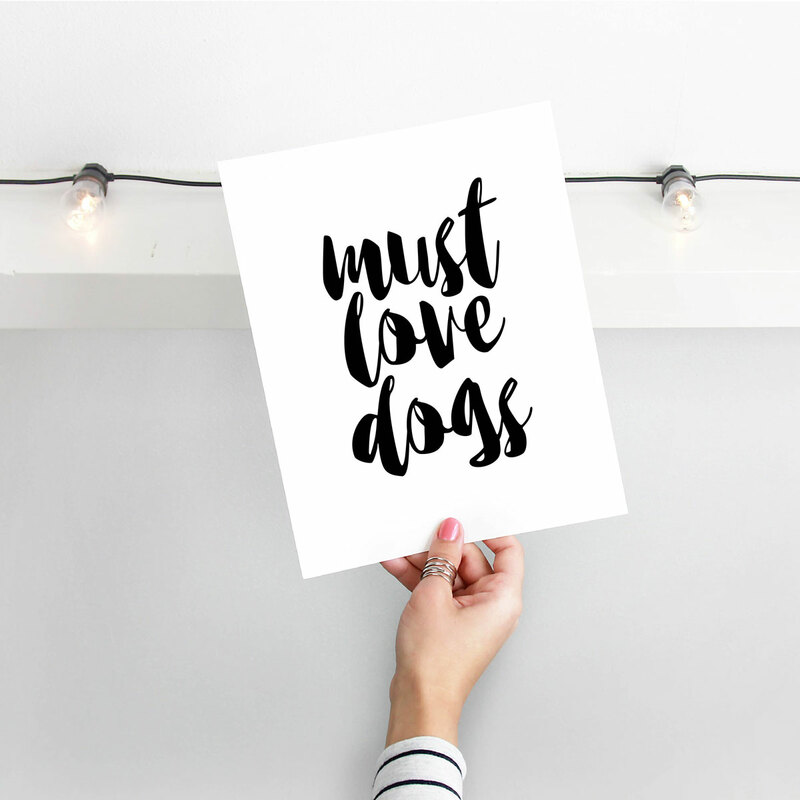 Tydography sells gorgeous printable typographic dog posters for the stylish pup lover! Best of all, they’re absolutely affordable! Check out our interview with Tydography’s founder and designer, Lisa, and take 20% off your purchase this month only with code THEBROKEDOG. I live in Northern Michigan. I’ve been in business for just over a year now. I started Tydography and opened my Etsy shop in January of 2016. 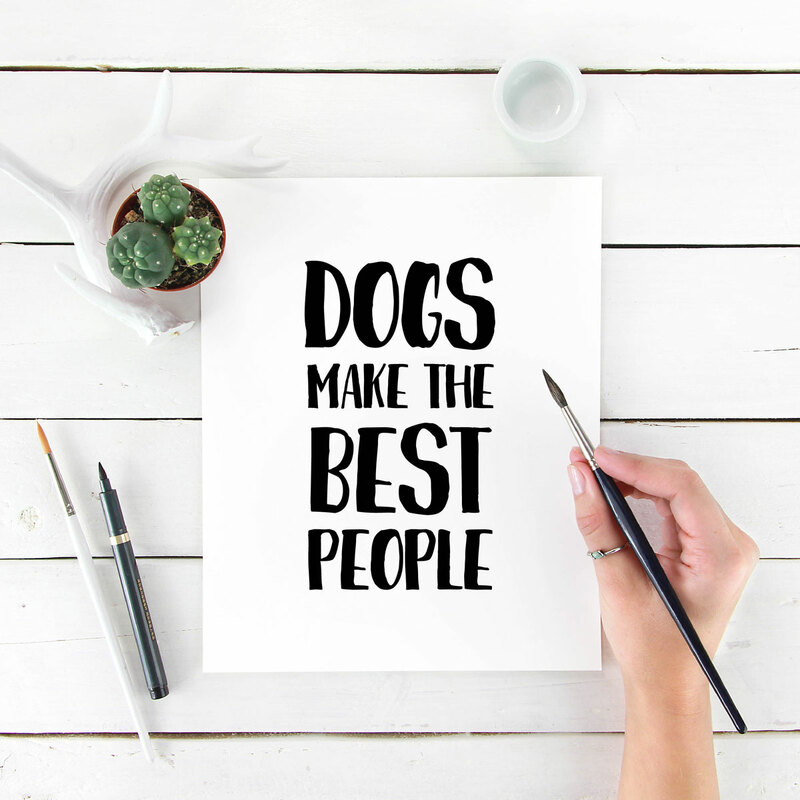 Tydography creates an array of modern and stylish typography art prints for design-conscious dog lovers that add a touch of fun and style to any living space, office, or gallery wall. I sell digital, typography art prints featuring a variety of inspirational and humorous dog quotes and sayings, perfect for any modern dog-loving home or office. Selling digital art prints, aka printables, allows me to provide you with an easy way to style your space without breaking the bank because there’s less involvement than selling physical prints. It’s a win-win! My prints are super affordable, instantly downloadable, and available worldwide. I offer free custom sizes for my customers and am more than happy to create custom art prints. If you have a favorite dog quote that’s not currently in my shop, just let me know, and I’d love to make a customized print for you! I have a 5 1/2-year-old, high-spirited German Shepherd Dog named Rufus. He’s incredibly smart and expressive, loves playing fetch and turns heads wherever he goes! He’s the best family dog and a big part of the inspiration behind Tydography. Just me! I’m Lisa, the designer, and creator of Tydography. I’m also a 30-something, happily married mom of two. I work at home as a freelance marketing coordinator, graphic designer, and run Tydography in my free time. I’ve always been a dog lover (when I was 5, my best friend was my neighbor’s Golden Retriever named Benji) and have a passion for graphic design. Tydography allows me to combine two of my passions: dogs & design. Tydography is committed to giving back and helping to support animal adoption and rescue organizations. That’s why I donate 10% of each sale to local animal rescues and promote adoptable dogs on my Instagram account. Make homemade dog shampoo! Not only will it save you money, but it also works really well! I think it’s even more effective than store-bought since you control what goes in it: no gross, unpronounceable chemicals. It’s cheaper for you and safer for your pet! Add all of the ingredients to a jar or container and mix well. Apply liberally and scrub-a-dub-dub! *Please note: It’s important that you use therapeutic grade essential oils that are 100% safe for pets. If you’re not sure, contact your vet before use, especially if your pet has any health issues or takes medications. Check out Typography on Etsy, Twitter, Instagram, and Pinterest! Use code THEBROKEDOG to take 20% OFF any order in the Tydography Shop through March 2017!